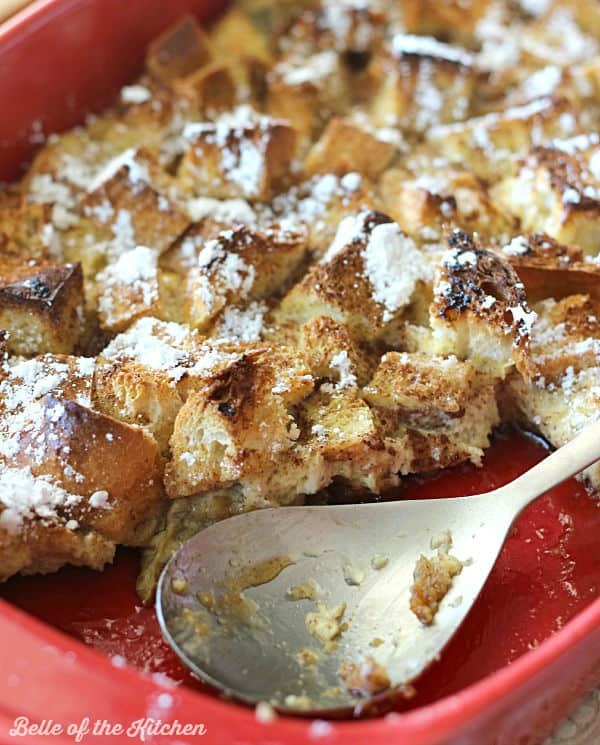 Make your mornings special with this easy French Toast Casserole. It has everything you love about traditional French Toast, and is baked all in one pan! When I was growing up, my older sisters did a lot of the cooking. They each had their own specialties, and my younger brother and I always looked forward to their meals. One of our favorites was always French Toast, and to this day my sister Natasha makes it better than anyone I know. Since we are separated by lots of land, and even an ocean (I live out in Hawaii 😉 ), I don’t get to scarf down as much of her French Toast as I would like. But I have found that no matter if you’re missing your family or simply just the food of your memories, sometimes the only solution is to head to the kitchen and get a little creative. I’m telling you right now that this French Toast Casserole is so good, you may find yourself wanting it for not only breakfast, but also for your lunch, midday snack, dinner, and dessert as well! 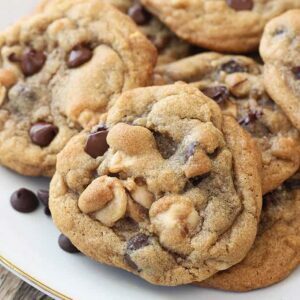 The bottom layer is made with brown sugar and melted butter, and tell me who doesn’t absolutely swoon over that combination?! After you chop up the bread, melt some butter in a small sauce pan and stir in a cup of brown sugar. This will become the bottom layer of your French Toast Casserole and it gives it an amazing caramelly flavor once it’s been baked. 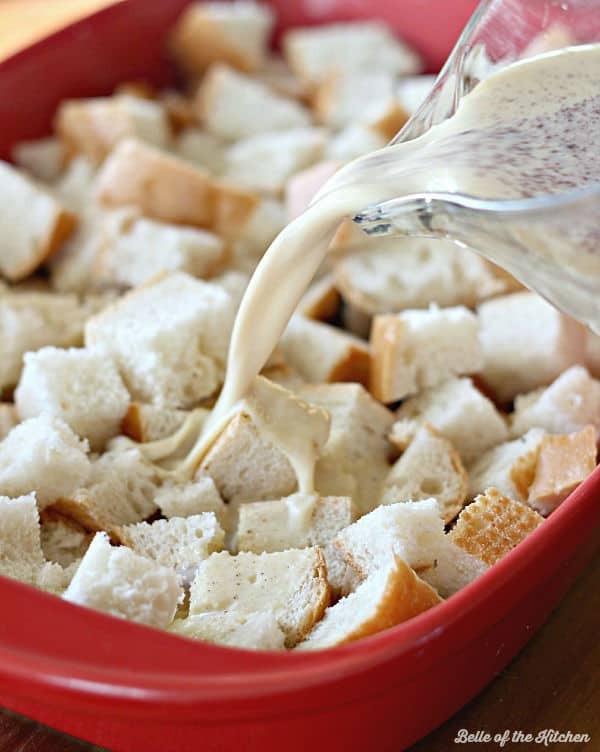 Next you’ll add in your bread cubes, then pour a mixture of eggs, milk, cinnamon, and vanilla over the top. Pop it into the oven and bake for about 30 minutes, and you are on your way to one of the most yummy breakfasts you’ll ever sink a fork in to! Really, I mean it! So what are some of your favorite breakfast recipes? 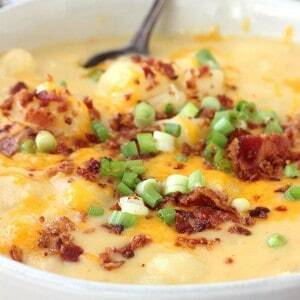 Do you enjoy cooking up something special on the weekends, or for “breakfast-for-dinner” nights? Share your favorites with me below! Preheat oven to 425 degrees. Butter a 13x9 inch baking pan and set aside. In a small sauce pan, melt butter over medium heat. Once butter has melted, stir in brown sugar until dissolved and mixture is smooth. Pour mixture into the bottom of a 9x13 pan and spread evenly. 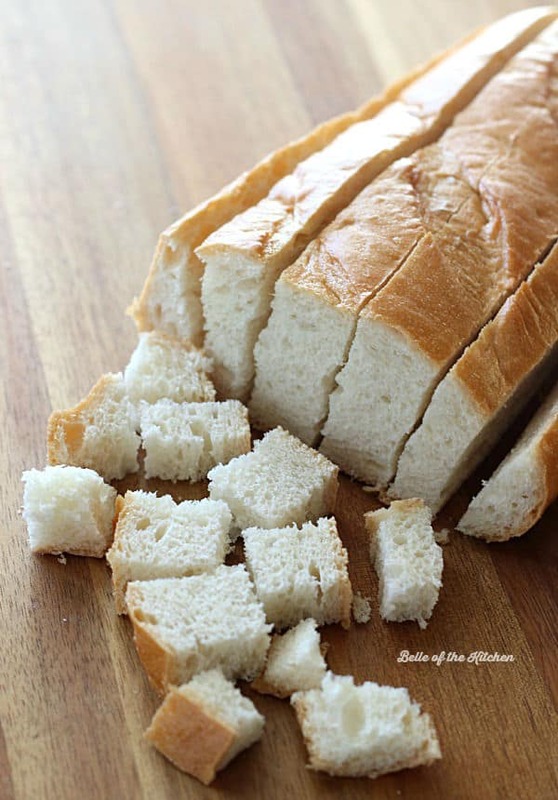 Is the bread soggy at all when it comes out of the oven? I have issues with the texture of soggy bread like in bread pudding. It looks and sounds amazing so if it comes out without the sog factor, I’M IN!! Hi Kim, nope I don’t find it soggy at all. It gets a bit crispy on the top, actually! what a wonderful comforting breakfast for the kiddos to wake up to Christmas morning lovely! This could easily become my favourite breakfast! It looks and sounds delicious. We usually make something special on Sunday mornings so I’m going to try this, I’m sure my family will love it. WOW this French toast looks so delicious and perfect for brunch! 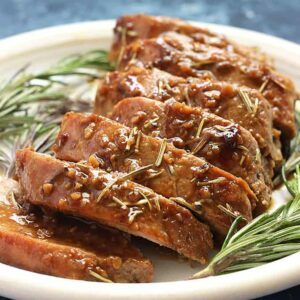 Can this be prepared night before and baked the next morning? I made the French Toast Casserole recipe this morning for my son-in-law’s birthday brunch. It was easy and delicious!! I bought a loaf of French Brioche thick sliced bread I found at Sprouts, never saw this bread before. Everyone raved about how good it was. I made sure that all the cubes of bread were saturated with the egg/milk mixture before baking. Tonight I warmed a leftover piece (there were two small pieces left) and then topped it with vanilla ice cream – OMGosh unbelievably good. 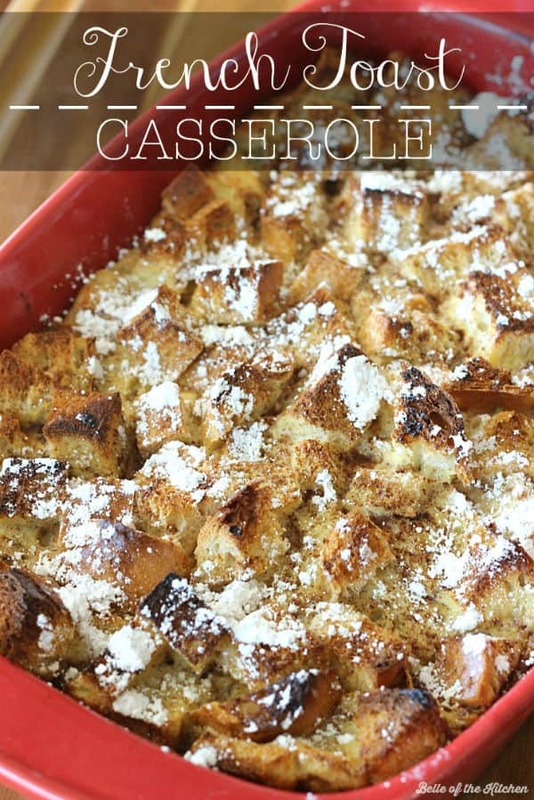 I will never make individual pieces of french toast again, not when this delicious casserole is so easy, and it tastes better than my french toast. Delicious, my daughter made it, but in trying to write down recipe, I can’t find an oven temp?! 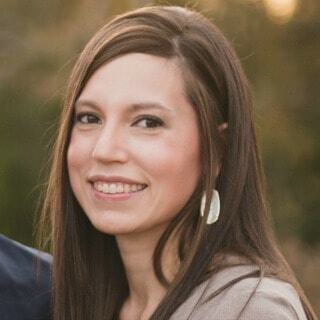 Daughter is unreachable for awhile! Please help! 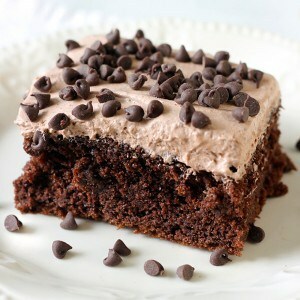 Wow I love this, looks so yummy too! I love French Toast, but can’t remember the last time that I made it. I think this casserole could change all that. My boys will be thrilled to have this for breakfast Sunday morning. Mmm, I love breakfasts like this! I’m gonna have to make it for my kids soon. Also, so jealous that you live in Hawaii. I’m pretty sure this casserole wouldn’t make it to a plate – I’d stick a fork right in it and go to town. Sounds wonderful! I love one dish meals – this one is perfect for breakfast! 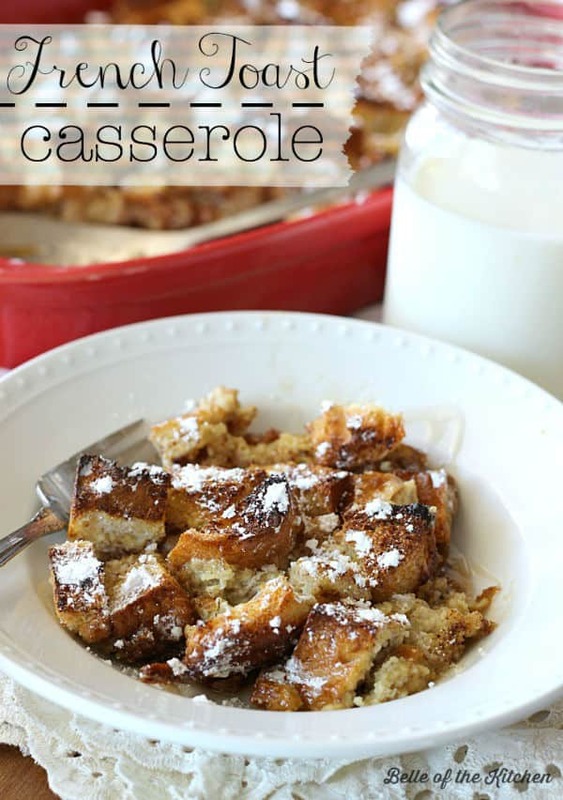 French Toast Casserole is one of my favorite things!! This one looks like perfection! Such a warm and comforting breakfast treat, Ashlyn! LOVE french toast, and baked in a casserole, even better! What an awesome way to serve a crowd at breakfast! Much easier than spending all morning in front of the burner! I’m in!